These steel contour benches are a modular design with bold, large diameter steel tube frames and expanded steel seating surfaces. Manufactured using the latest in finish coating technologies, these corrosive-free steel benches are ready for oodles of community enjoyment. 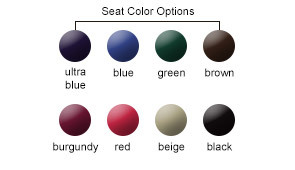 Distinctively styled, these benches come standard with a 2-3/8"O.D. steel tube frame and the one piece contoured seat and back constructed with 3/4" #9 expanded steel. 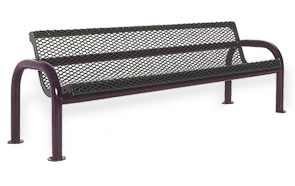 Diligently	MIG welded, these reliable benches feature smooth rounded edges augmenting the safety and comfort.